The volleyball team opened its season today with a loss to Concordia University – Texas. The Saints overpowered the Tornadoes in the first two sets, winning 25-16 and 25-21, but lost the next two 22-25 and 15-25. The Tornadoes won the tiebreaker 15-13 to win the match 3-2. Concordia, a member of the NCAA Division III American Southwest Conference, improved to 3-3. The Saints will play their next match on Sept. 10 when they take on NCAA DII St. Mary’s University at 6 p.m. The match will take place at the St. Mary’s Greehey Arena. Read full article online. 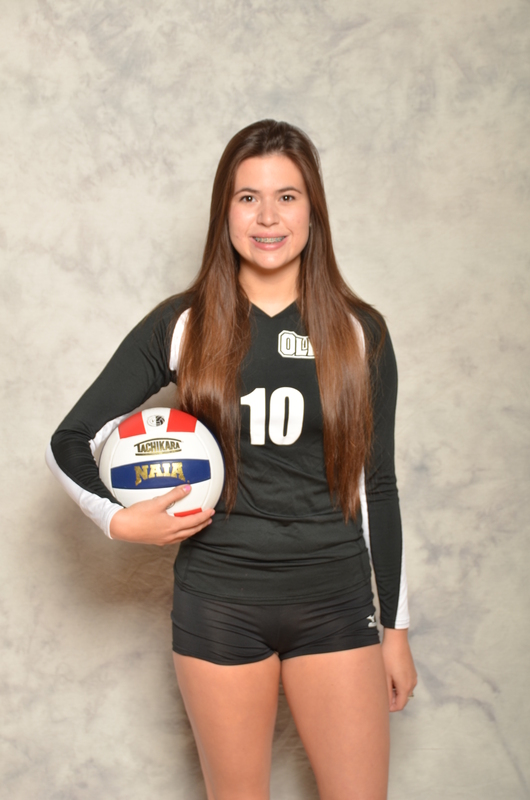 OLLU has announced the signing of transfer student Jaclyn “Jackie” Bautista to the 2014 Saints Volleyball Team that will begin competing in August 2014. Bautista attended Odessa College. She is a graduate of Austin High School in El Paso, Texas. Bautista is a 5’10” middle blocker. While at Odessa College, a member of the National Junior College Athletic Association, she earned All-Conference. The Saints ended their 2013 season as the No. 4 seed in the Red River Athletic Conference tournament semifinals. Their conference record was 9-4 and 15-12 overall. Read full article online.